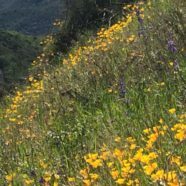 As I was hiking in the back-country of Santa Barbara among the beautiful wild flowers and majestic mountains, my heart became so full of gratitude that it brought me to tears. 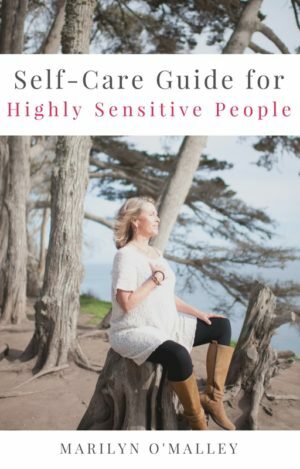 This feeling of fulfillment and connection to all lead me to wonder what I could offer in my blog that would be the biggest benefit to you. The #1 skill that changed my life is learning to manage and master my thoughts and feelings. If you don’t master managing your thoughts and feelings you won’t change anything permanently. It seems simple yet it is not easy! Like mastering anything it takes commitment, practice and consistent attention. Mastering and managing your thoughts and feelings requires that you pay attention to them and what is showing up in your life. What shows up in your life is the reflection of what you believe to be true. If you don’t like yourself or your experiences then you need to change the programming and habits that created your current thoughts and feelings. Start to notice when you are focused more on what you don’t want, instead of what you DO want. That is where you need to start managing your thoughts and feelings. Nobody loves me, I am too old/fat/ugly/rich/smart/beautiful…., I will never find a great partner because all the good ones are taken. Change those thought to: I love who I’m becoming and I’m excited and ready to be more loving and receive more love in a healthy committed relationship with a man/women who cherishes me. YOU ARE NOT YOUR THOUGHTS AND FEELINGS! THE BELIEF THAT YOU ARE WHAT YOU THINK AND FEEL IS A LIMITING BELIEF! YOU CAN MASTER YOUR THOUGHTS AND FEELINGS TO CREATE AN INSPIRING, MEANINGFUL AND HAPPY LIFE! Mastering your thoughts and feelings puts you in control of your life. It is a real FOCUSED adventure to STAY ON YOUR PATH/PURPOSE and not be distracted by life’s “shiny objects” or other people lives. I can’t trust anyone, even myself. If I fail people will abandon me. Then focus on feeling and thinking what you desire in that very moment. Imagine in your mind and feel in your body, yourself having, being or doing exactly what you desire. Let your imagination create a movie playing out in your mind and body with you as the star. Be grateful for that experience NOW! Mastering Life (Daily Actions) = You are responsible for making choices about what you feel and think about yourself and the world that serve you and your soul by managing your thoughts and feelings! Discover what stories you are currently telling yourself based on your programmed beliefs, thoughts and feelings. Are they true or even your authentic thoughts? Create new stories about who you are and the world you desire and stay focused on it. Stop comparing yourself to others. There is no one else like you! Stop letting yourself be distracted from creating what you are here to create. Know this is a life-long journey, because you will always be aspiring for more in order to express your authentic self as you grow in each stage of your life! Need help figuring out what your programmed beliefs are? 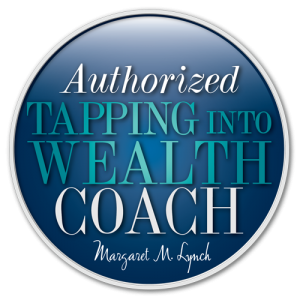 Take advantage of my FREE DISCOVERY SESSION now to change your life forever! Aspire to live your turned-ON life. I love to hear how this is helping, motivating, inspiring or challenging you, so your comments mean a lot to me.